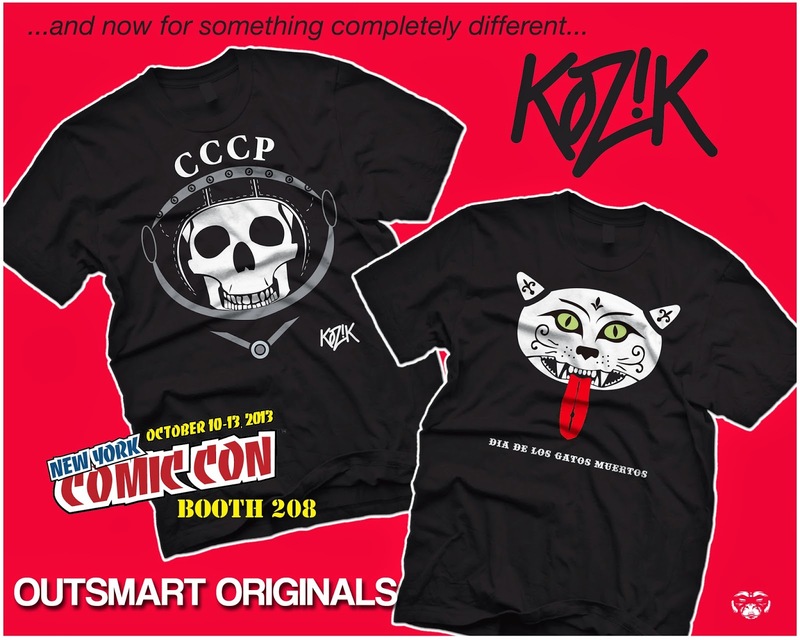 Expect the unexpected at NYCC this week, like these two new KOZIK limited edition exclusive t-shirts...that's right, original designs by the one and only Frank Kozik. 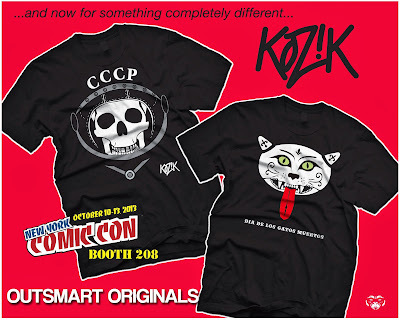 Outsmart Originals is grabbing on to this opportunity to release some unique and different designs by the Smorkin' Artist that are a must for Kozik collectors. From the Dead Cosmonaut (who will be joined by fellow explorers in the future) to the Day of the Dead Animal series starting with Los Gatos. Each shirt is screen printed on ultra cotton tees for both men and women and includes a sleeve screen as well - two great October themes from one great artist - these limited t-shirts are now available now and can be ordered online or picked up at the outsmart originals Booth #208 during NYCC.